Twenty scholars from nine countries convened at the St. Raphaela Center in Haverford earlier this month to study major issues in Christian-Jewish relations. “Participants in Fulfilling the Promise of a New Relationship,” which took place Jan. 7-10, was the first international roundtable hosted by the Institute for Jewish-Catholic Relations (IJCR) of St. Joseph’s University. Founded in 1967, the IJCR is the oldest university center of its kind in the U.S. created in response to the Second Vatican Council’s call for increased interfaith dialogue. 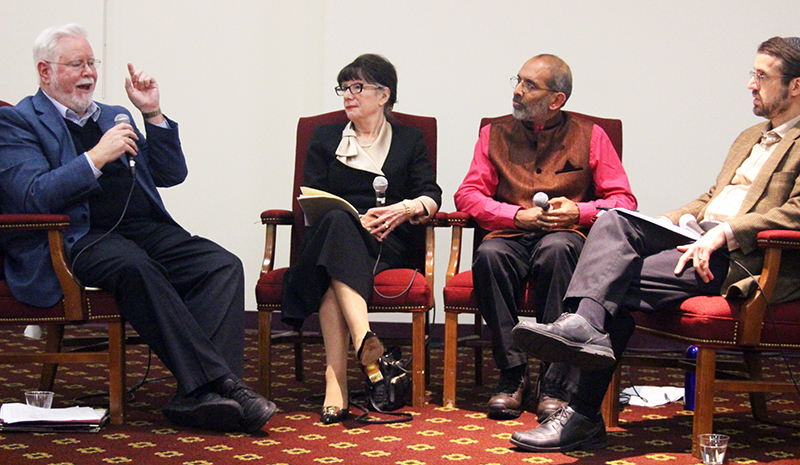 Academics shared their insights on Jewish and Christian missions, religious identity and national borders, covenantal theology and the connections between Christian-Jewish relations and global religious pluralism. D’Acosta first qualified his use of the term “Zionism,” which is generally understood as a nationalist movement to establish a Jewish national state in the ancient homeland of the Jews. Rooted in the enduring relationship between the Jewish faith and the covenantal land promised by God, the movement formally emerged in eastern and central Europe in the late 19th century, and ultimately led to the founding of the modern state of Israel in 1948. An adviser to the Pontifical Council for Interreligious Dialogue, D’Acosta said his use of the term specifically referred to the “connection between the biblical promise of land and Israel’s creation in 1948.” Clarifying the distinction between Eretz Yisrael (the land promised to the Jews) and Medinat Yisrael (the democratic state of Israel), D’Acosta further noted that his research did not support any particular government or set of borders. He also upheld the Vatican’s endorsement of a two-state solution in response to the Israeli-Palestinian conflict. “There is a need to understand and recognize Jesus as a Jew,” she added. Such energetic, collaborative inquiry was evident among the scholars who participated in the conference.